The theme park Chessington World of Adventures Resort, located next to London, opens the gates to “The Mystery of Hocus Pocus Hall” on Halloween 2013. The guests will enter the stately home of a famous explorer who mysteriously vanished and try to discover what really happened. As they try to solve the mystery, the guests pass a priceless collection of antiquities and discoveries from all over the world on their journey through the house. What caused the disappearance of the once so successful explorer? Is there a strange and powerful curse, or is it all a bunch of ‘Hocus Pocus’? IMAscore produced the elaborate Acoustic Theming of the maze and also some musical sequences for special moments. Roughly half an hour of music and sound atmospheres bring the rooms to life in an acoustic way. We’re happy to show you the full main theme of the attraction right here! Chessington celebrates Halloween from the 19th of October till the 3rd of November. 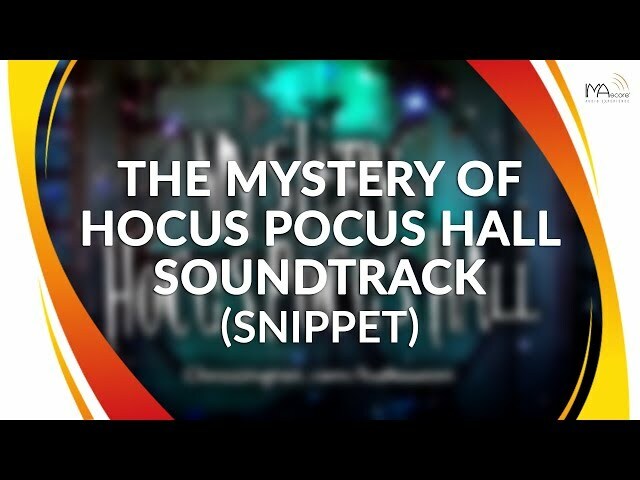 “The Mystery of Hocus Pocus Hall” is the first collaboration of the park and IMAscore.